An old inscription in St Gregory’s church relates the attack of 1614. 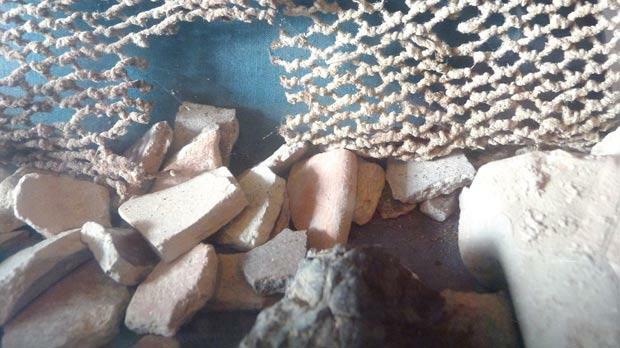 Right: Human bones discovered in the secret passages of St Gregory’s church. Deep-rooted mysteries, which to date remain unsolved, are entrenched in the old parish of St Catherine in Żejtun, popularly known as St Gregory’s. 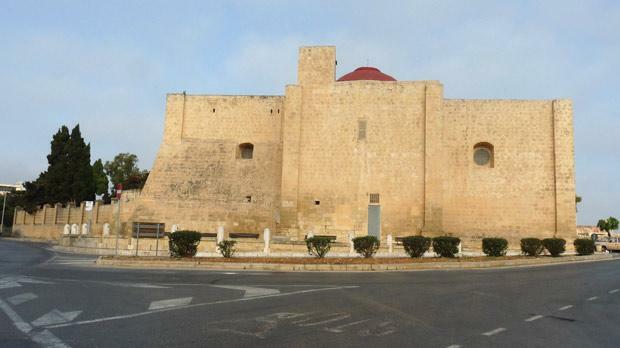 Some of these dilemmas were discussed at the second national symposium organised by NGO Wirt iż-Żejtun in this church, particularly since they are related to the theme that was commemorated and discussed – the 400th anniversary of the Turkish raid of 1614 on Żejtun and other areas in Malta. The speakers who participated in the symposium came from various fields of study and each presented interesting and significant relative information from different perspectives. 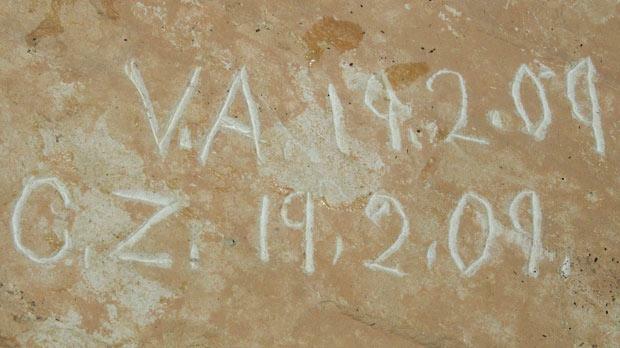 Among the matters discussed was the old inscription that for many years was believed to represent a narrative of what took place on the eventful day of July 6, 1614, when 60 Ottoman galleys anchored at St Thomas’ Bay and the port of Marsascala, and from there, 6,000 Turkish soldiers attacked Żejtun and the surrounding areas. According to the inscription, the Turks pillaged the villages and the churches and chapels they came across, until they finally met Maltese soldiers and cavalry, and retreated back to their ships. Some Maltese were injured but none died, while some Turks were killed and others were captured as slaves. However, when referring to some local archives, including those written by Ottoman authors, one finds details that do not necessarily concur. So what is the real story? The old church-fortress of St Gregory in Żejtun. The initials and dates found engraved in the secret passages. 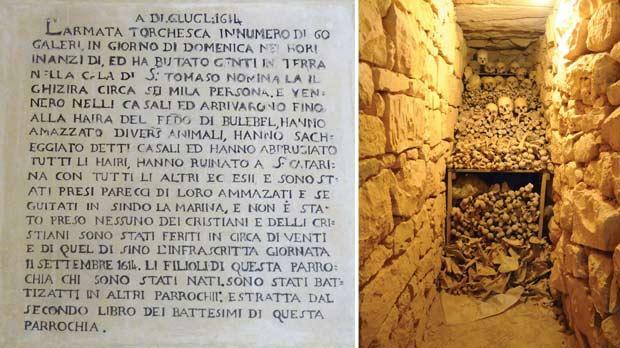 Other curious issues relate to the 1969 discovery of three secret passages in the old church of St Gregory, in which human bones were also found. At the beginning of the third corridor, some engravings bearing the initials V.A. and C.Z. and the date 19.02.09, thereby suggesting that the corridors had already been discovered before. Rumours say that after the last discovery, the parish priest had searched among the village elders people who had those initials until he traced a certain Carmelo Zahra, known as ‘ir-Rangu’, who confessed that he had entered the passages when he was a young boy together with some other individuals. He claimed that they had seen skeletons dressed as soldiers in the passages and that they had some weapons and flags with them. Moreover, he said that some people who were with him removed the objects and took them away, and threatened the others not to mention anything. 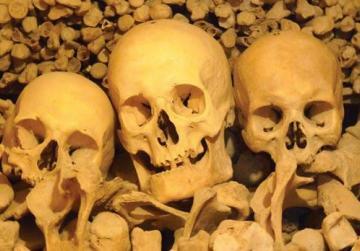 Indeed, many had been surprised at the frugal objects that were found with the bones in 1969. Could Zahra have been telling the truth? 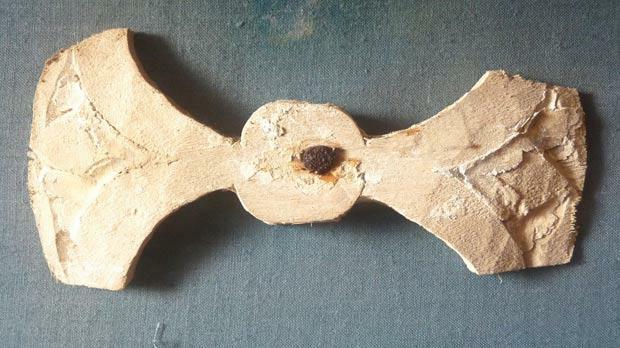 A small gilded wooden cross of Byzantine design. 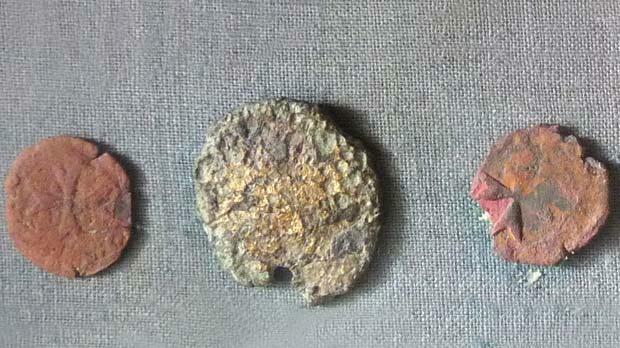 Three of the coins found – two of bronze and one of gold. A wooden shoe sole with a high heel. 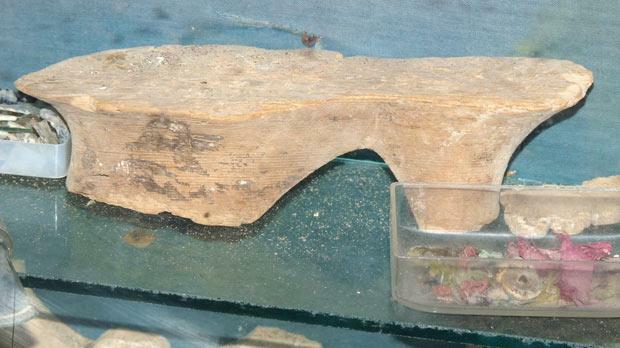 The remains that were collected during the last discovery included a wooden shoe sole with a high heel, a small gilded wooden cross of Byzantine design, odd bits of a gilted wooden frame (perhaps an icon), three coins (two bronze with the cross of the Order, the other gold, but so worn out that it cannot be deciphered), pieces of pottery of the 16th and 17th centuries, fragments of animal bones and a part of a chain-mail armour vest. 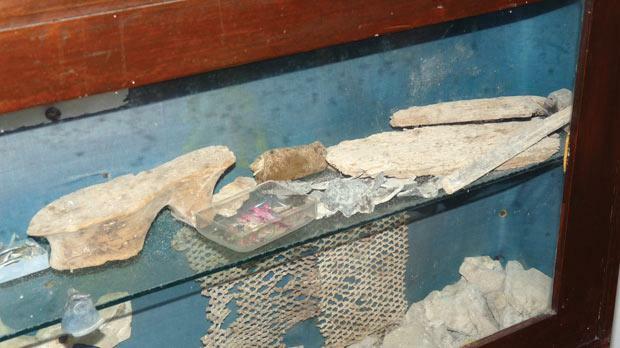 The worn-out display box containing the findings from the secret passages. These are currently stored in one of the rooms in the church and it seems clear, both from their state of preservation and from the display box in which they are stored, that no one has bothered to look at them for many years. In fact, very few individuals knew about their existence. It is a pity that these objects are hidden away from researchers and from the public. Don’t they deserve to be conserved and studied and then displayed appropriately? 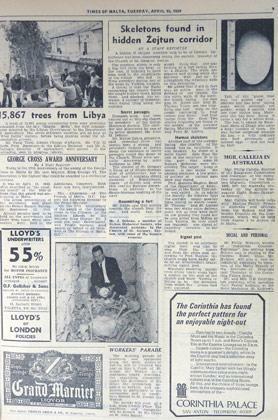 Cuttings from the Times of Malta of April 15, 1969. Grezzju Vella showing the location of the opening to the secret passages. Likewise, there are various versions of how and who came across the opening to the secret passages. 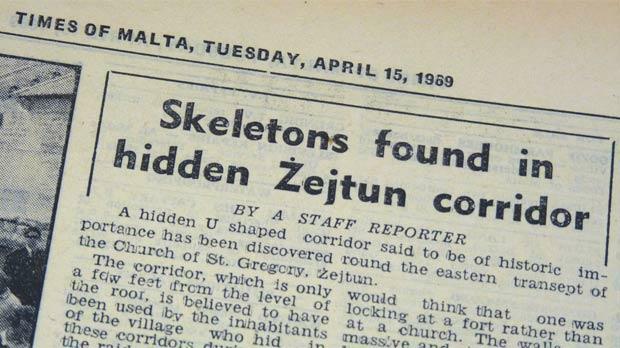 One of the claims is that the person was none other than Ġann Mari Debono, the church sacristan, as published in Times of Malta of April 15, 1969. 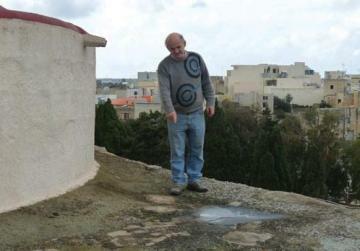 However, in 2011, Grezzju Vella recounted a slightly different story, saying that he had exposed the opening and entered first inside the secret passages. The human remains have also led to another mystery since, to date, no one knows why they were found in these secret passages. A ballad written by Walter Zahra soon after the discovery of 1969 imagined these people to have been the victims of an Ottoman attack after they had gone there to hide in the secret passages and were found by the enemy. Over time, this invented story transformed itself into a legend and many villagers believed this to be true. However, in 1978, Seshadri Ramaswamy and Joseph Leslie studied these bones and presented a report on their paleopathological studies. They concluded that the bones had been buried in some other place since some of the vertebrae had a plug of soil in the vertebral canal. Hence, according to this theory, during a particular period, the secret passages in St Gregory’s church might have been used as an ossuary. Many have asked what was the sense of carrying the bones up these passages when they could have been stored elsewhere. And many more have asked why a carbon dating examination has not yet been performed on the bones in order to date these remains and end some of these rumours. The information delivered during the presentations of this national symposium will be published by Wirt iż-Żejtun in the book The Turkish Raid of 1614. One can benefit from a pre-publication offer on this book by ordering it through the NGO’s website below.